"Denny Emerald" - SOLD -Thank you! Denny Emerald has mischievous charm! 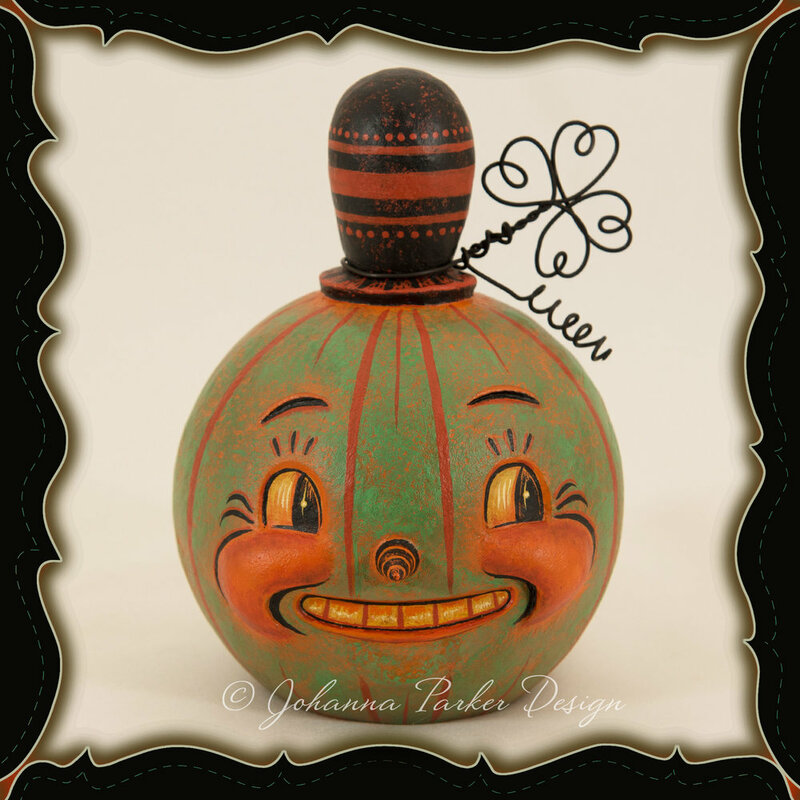 As a unique crossover piece, he blends the luck of the Irish with a vintage touch of spooky sweet Halloween. 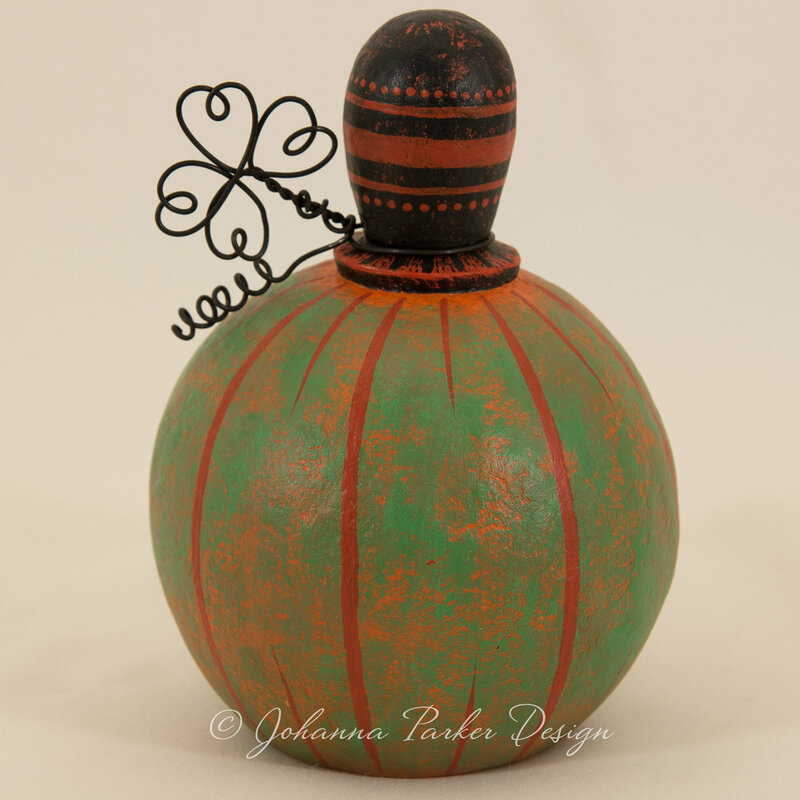 As a result, you get a glowing patina green jack painted with warm undertones of pumpkin orange. Recessed arching eyes, brows and grinning mouth add depth. And, that cone-shaped nose, bulbous cheeks and tiny chin add dimension and more character. His knobby cartoon style top hat is trimmed with a hand-formed wire shamrock, complete with a curly tail. Display this jovial green character throughout the year. A Johanna Parker Design original!